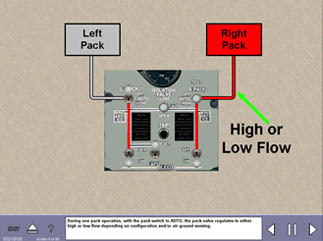 This is an interface I created in Interface Design class during my third quarter at the Art Institute of Pittsburgh. 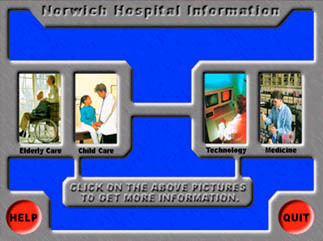 This screen is the main menu for a hospital information program. 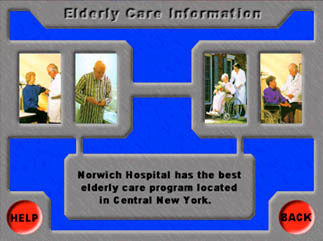 Here is an Elderly Care menu from the hospital information program. 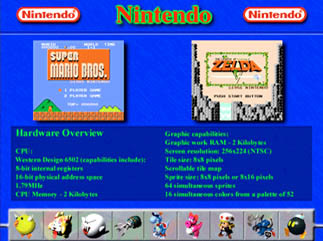 This was my first interface design for the main menu from my History of Nintendo project. 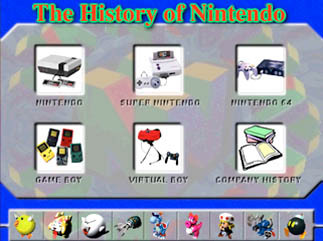 My final screen design for the main menu from my History of Nintendo project. 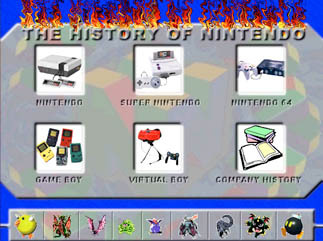 This was my first design for the Nintendo menu from my History of Nintendo project. 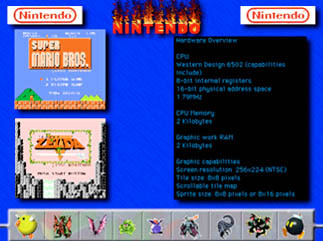 This is my final design for the Nintendo menu from my History of Nintendo project. This is from a group project created by Ron de las Alas, Jeff Phelps, Chanus Sathornkich and myself. This project was a guide to the different sites Pittsburgh, Pennsylvania has to offer. I worked on this project in my internship at US Airways. I helped with graphic layout. I also added some interactions as well as doing a lot of debugging. This was created in Authorware. 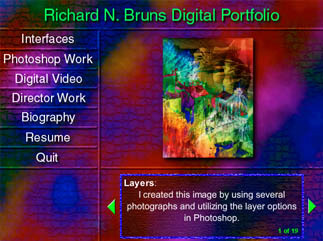 This is the interface I created for my Digital Portfolio CD project. 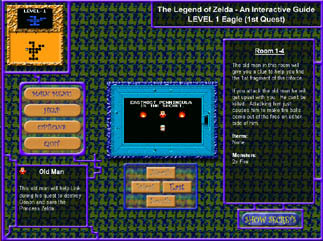 This is an interface for an Interactive Guide to Zelda that I am working on in my spare time.